Gina Miller, Nick Clegg, Tony the war criminal Blair, Michael "Brexiteers are Nazis " Heseltine. Apparently it is that they are silent. You might have thought that the BBC and C4 gave these folks every opportunity to yak on about what a disaster Brexit will be, but oh no, as the tweet below shows. 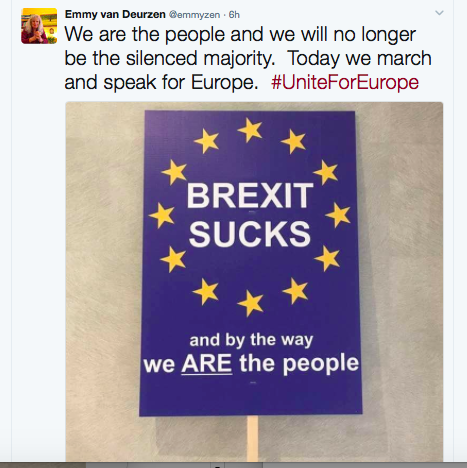 The poster is an academic who is marching through London today to speak up for the "silent majority" in opposing Brexit. Hmmmm. Gina silent? As for "majority," presumably at Middlesex University the teachers do not need to be able to count past 48? Remind me again of how we actually voted on June 23 2016? 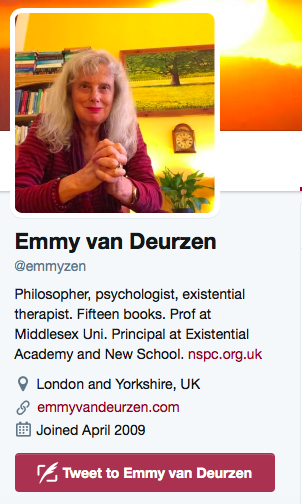 Apparently this tweeter is a professor at Middlesex University and is a philosopher. Does that include logic? Once again I worry for the impressionable young folks whose minds are being filled with junk taught by people as deluded as this creature.